This 14 mission campaign follows the 29th Infantry Division in several major engagements starting from the landings on Omaha Beach through the following two weeks of the June offensive. As a green national guard division, primarily from Virginia and Maryland, the 29ers had a particularly difficult time adjusting to the new bocage warfare. 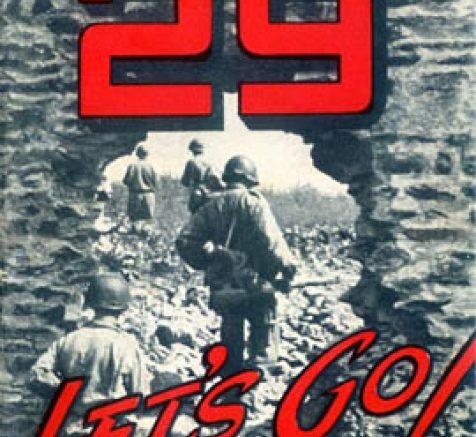 Led by an intelligent albeit headstrong CO, General Gerhardt, the 29ers often found themselves in difficult situations with unattainable objectives. Serving on the frontline continuously for a month and a half without rest, the 29ers suffered extraordinarily brutal casualty rates and rose to an even higher levels of courage as they continued the fight toward St. Lo. 3 Comments on "Blue and Gray 29th Infantry Division"
Would you mind telling me how is even possibile to play the first (and maybe second) mission without being completely slaughtered even before getting ashore? You can’t even choose inital positions, no smoke… it’s it playable apart from showing the slaughter of the landing? Second mission was ok. I think that the first one is there only to show the horror of the landing in that particular sector. Very well pictured, anyway!